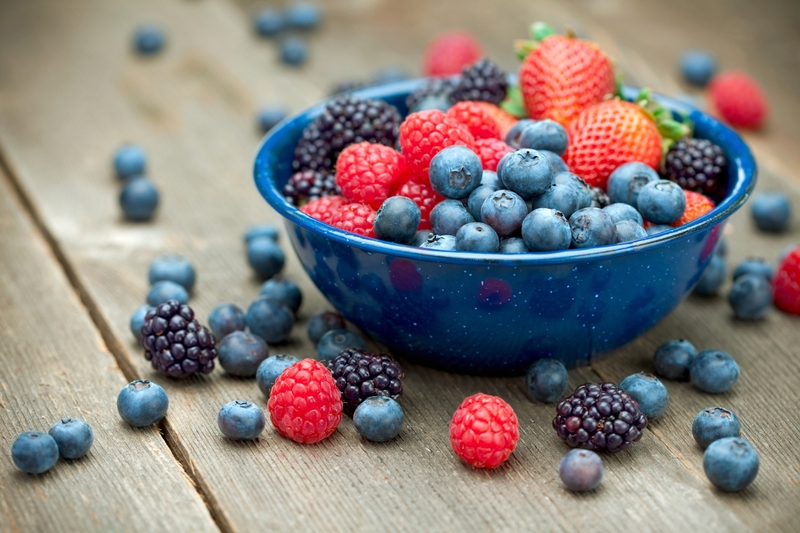 Antioxidants: what they are and what they do. Some antioxidants are produced in our bodies, like glutathione, lipoic acid and coenzyme Q10, but we could also get them through food and supplements. Each antioxidant takes distinct actions, hence one cannot be substituted by another. What characterizes antioxidants is a common chemical property they all share, their ability to provide electrons. Introduced through food or the environment, food (like processed foods, alcohol), smoking, pathogens (like viruses and bacteria), drugs, toxic substances, environmental pollution (like pesticides) and climate (like exposure to sunlight). Free radicals are chemicals which remove electrons from neighboring substances. Electron removal leaves those substances damaged and deregulates functions at the cellular and molecular level. All matter consists of atoms, which in turn form links to create molecules. Atoms are the smallest part of an element and consist of a nucleus surrounded by electrons. The nucleus contains protons and neutrons, protons have positive electric charge and electrons have negative electric charge whereas neutrons are not electrically charged. Since protons and electrons are equal in number the overall charge is zero. Atoms that for some reason have an unpaired electron are defined as free radicals, and are very unstable molecules. Free radicals “seek” stability by either offering or receiving an electron from other substances. In the process of stabilizing themselves they can disrupt other molecules. 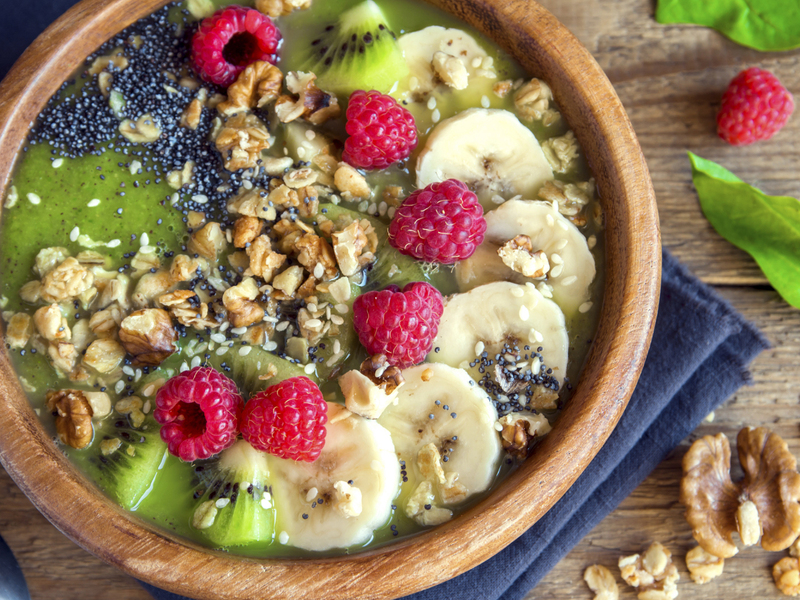 This is where antioxidants come to the rescue. They fight free radicals by offering them electrons and hence stabilizing them. Unlike free radicals, antioxidants can afford to lose electrons without replacing them. By being an electron provider they protect molecules and cells against oxidation and thus from aging, cancer and cardiovascular diseases. When free radicals’ generation exceeds that of antioxidants the result is oxidative stress. This occurs when free radicals are increased, or when there is lack of antioxidants or both. Oxidative stress can damage DNA, cell membranes and other important molecules. 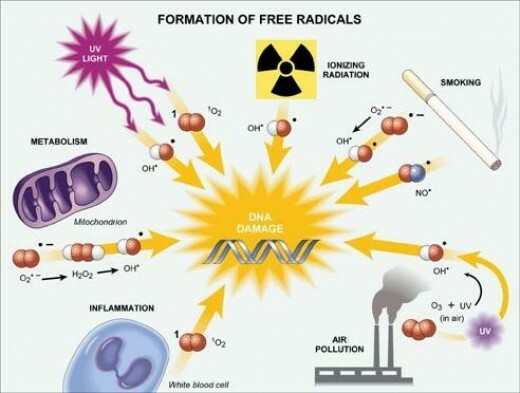 Free radicals can also trigger chain reactions which could lead to diseases like stroke, diabetes, cancer, degenerative diseases, inflammatory diseases, Alzheimer’s disease and are associated with aging. How do we get antioxidants? Some antioxidants like glutathione, lipoic acid and coenzyme Q10 are produced in our bodies. Vitamin C: one of the most effective antioxidants, able to regenerate other antioxidants like Vitamin E. Food sources include red pepper, orange juice, kiwifruit, broccoli, strawberries, tomato juice, grapefruit and Brussel sprouts. Vitamin E: exists in eight forms which have distinct antioxidant activities, found in vegetable oils and seeds but also in green leafy vegetables and fortified cereals. Beta carotene: the most important of the carotenoid family. Food sources include carrots, apricots, cantaloupe, sweet potatoes, pumpkin, winter squash, collard greens, spinach, kale, broccoli and dark green fruits and vegetables. Other carotenoids: lycopene (found mainly in tomato products), lutein (food sources include egg yolk, spinach, kale, collard greens, broccoli, peas, brussels sprouts and kiwi), zeaxanthin (food sources include corn, green leafy vegetables, tangerines and egg yolk). Polyphenols: a diverse group of plant substances. Food sources include several fruits, vegetables, spices, coffee, tea, legumes, cocoa and wine. Selenium: in reality helps the function of antioxidant enzymes, although not an antioxidant itself. Food sources include seafood and organ meats. 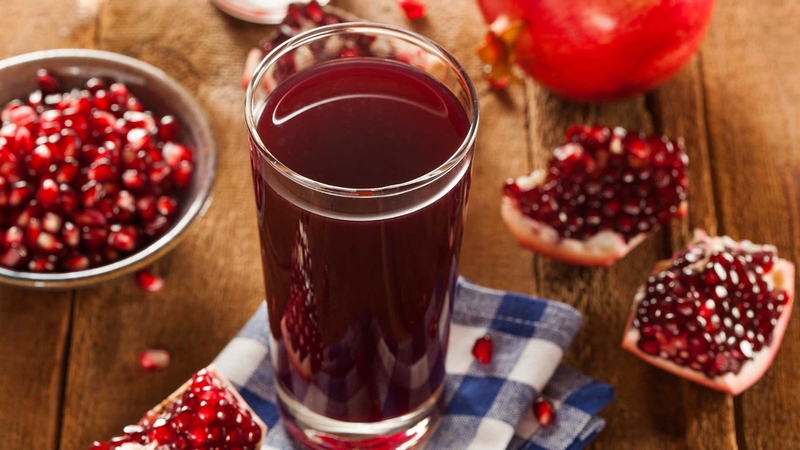 In addition, to the most studied antioxidant substances found in foods, that are outlined above, there are also others such as resveratrol, curcumin, copper, etc. Whether antioxidant consumption from foods or supplements offers any health benefits has been the matter of investigation since they were hyped back in the 90s. Taking antioxidants from foods compared to those from supplements is an entirely different thing when it comes to associated benefits and dangers. Unlike antioxidants from foods, those consumed from supplements do not offer the same benefits. Many trials, conducted to identify if antioxidant supplementation helps prevent cancer, found no evidence of benefit. The same is true for the prevention of heart disease, stroke and diabetes where antioxidant supplements do not offer any benefit either. On the contrary, some found evidence that supplementation with beta carotene might increase the risk of lung cancer in smokers and those exposed to asbestos. Similarly, increased risk was observed with vitamin E supplementation and prostate cancer. Antioxidant substances are found naturally in our bodies but we can also get them from food and supplements. Their role as defenders against free radical damage is crucial. A diet rich in antioxidants from a variety of fruits and vegetables can protect against many chronic diseases. The same is not true if antioxidants are taken from supplements, against which there is some evidence of harm.